When life is difficult, it begs for meaning: Who am I? Why am I still alive? What is my role, now, in my family and community? How do I deal with change and loss? What is the meaning of life? These are spiritual questions. Canadian society is shifting from a time when traditional religious expression was common, to greater diversity in our understandings of spirituality. How, then, do we support the spirits of all those in our long-term care (LTC) communities? What addresses our needs for love, hope, peace, joy? Jane has extensive experience as a spiritual caregiver in long-term care homes and in the community, as a registered psychotherapist, a spiritual director, and an ordained Minister in the Mennonite Church and the United Church of Canada. Jane completed a doctorate in Human Relationships (Spiritual Care and Psychotherapy) at Martin Luther University College with a dissertation focus in the area of Spirituality and Aging. 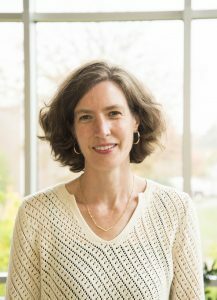 As part of her role at the Schlegel-UW RIA, Jane coordinates an annual Spirituality and Aging Seminar, conducts research, and teaches graduate courses in Spirituality and Aging.